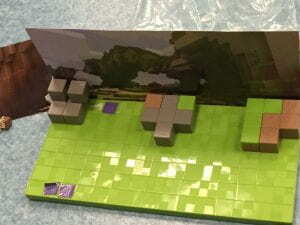 In humanities class, we did a “Mesopotamian Simulation”. It was about Mesopotamia’s time, and we had to make laws, architecture, and language. After that, we needed to trade, and make a top secret invention, which was a weapon to conquer other lands. 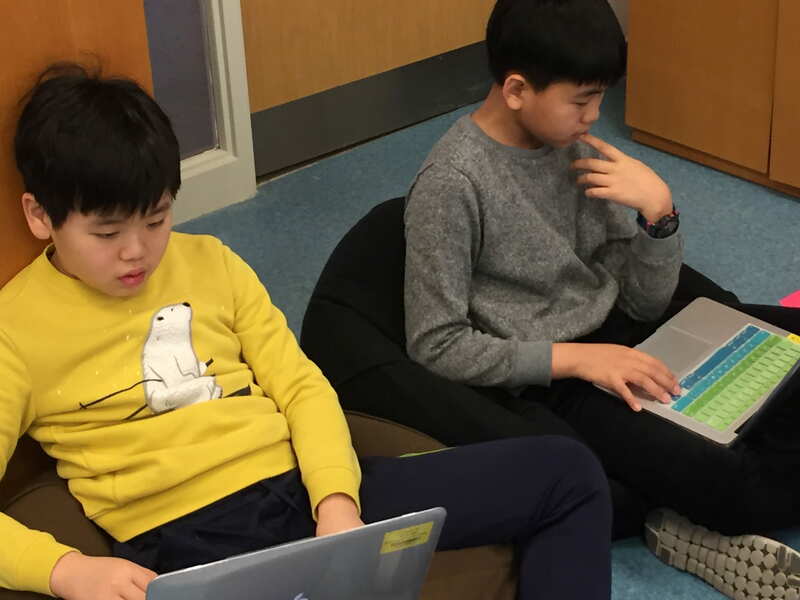 I personally worked in language and after I and my group-mate have finished the language part, I went to work on architecture throughout the simulation. As a group, we divided our jobs by choosing what we wanted to do, not just one person choosing it for us. Our biggest accomplishment was trading. We did our trading so well, that we were so close to being done with the secret invention. 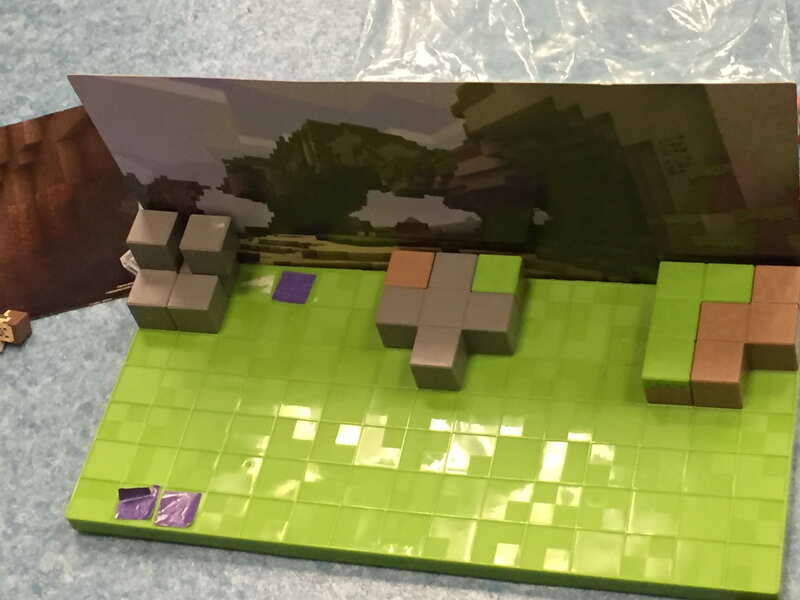 Our weakest point was that we nearly ran out of our materials while trading. If I could do this again, I and my group will change the jobs we chose, because trying different things are a good thing to improve, and they get a new interesting experiment! 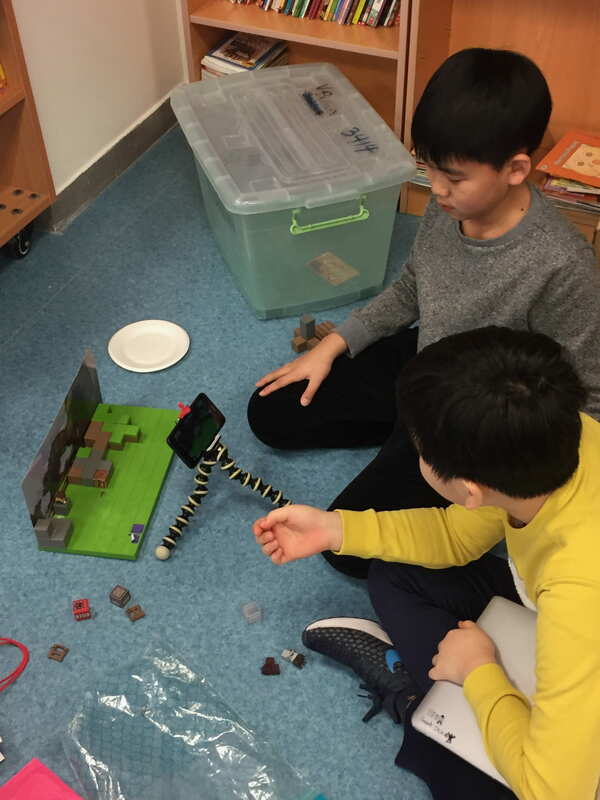 I am working with Jacob, and we used Minecraft figure that we took from home to make a stop motion. 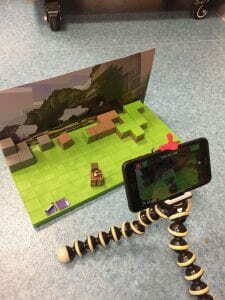 I decided to make a stop motion by Minecraft figure because I thought stop motion with lego was very boring. I think I did well in filming, and I filmed many pictures to make a stop motion animation. You can see it in the video! 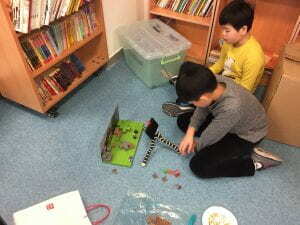 I learnt that making a stop motion film was so hard, and you have to work so hard on it to make it look good. Challenges? Did you overcome it? There were so less characters in the stop motion movie, so I overcame it by deciding to use them many times. One day is important because it focuses our mind, and it makes you learn something the entire school day. Some suggestions are to have more outstanding one-days because we needed to have more choices that are fun. I am in communities section, so all the components are going to be related to community in early humans (and also some information about modern humans). In my Thinglink, I put all the components that had to be included; 2 infographics, 2 paragraphs, 1 timeline, citation, and 4 primary sources, and in my opinion, I think this project was fun to research about. This is our penguin dwelling design. This is our chart that shows our progress. This is our mug insulator to keep the thermal energy from getting out. 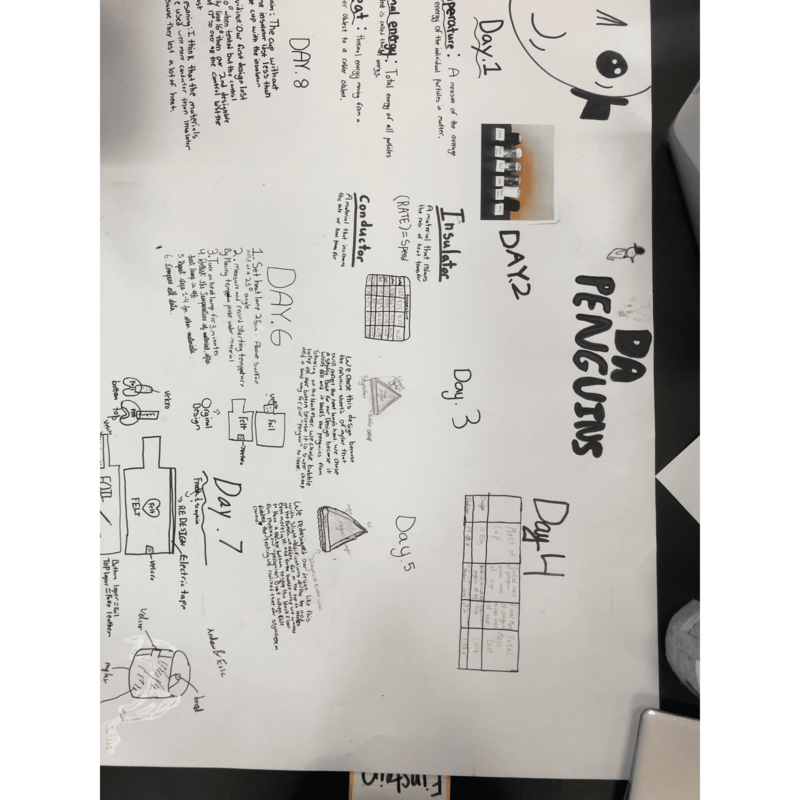 In science class, we did a project called save the penguins. In this project, we made a prototype that makes the mug to keep the heat from getting out of the mug. 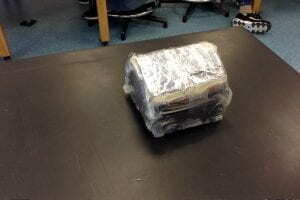 I am most proud of the dwelling, because our dwelling had mylar, foil, styrofoam, and bubble wrap, which cost a lot, but the dwelling that reduced the heat loss. If I had to do this again, I would put another layer of bubble wrap inside the dwelling to trap the thermal energy. 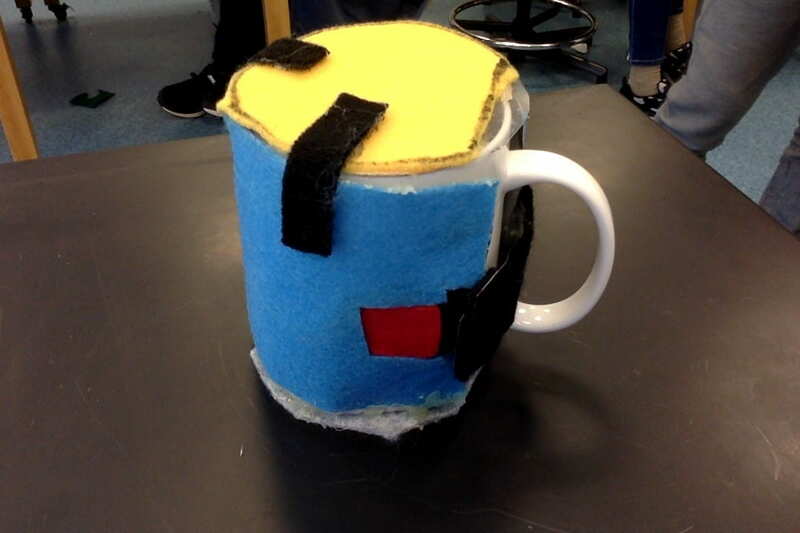 I think our prototype’s quality was good, because our cup insulator had mylar to keep heat, and felt to look colourful. Also, we used plastic laminate for the lid to make it waterproof. In humanities class, we did a “I am from” poem. This is a video about where I am from, and it has a recording and the pictures attached. 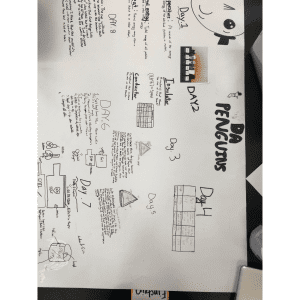 September 3, 2018 / juhyeok.jeon / Comments Off on Water Purifier!!!!!! 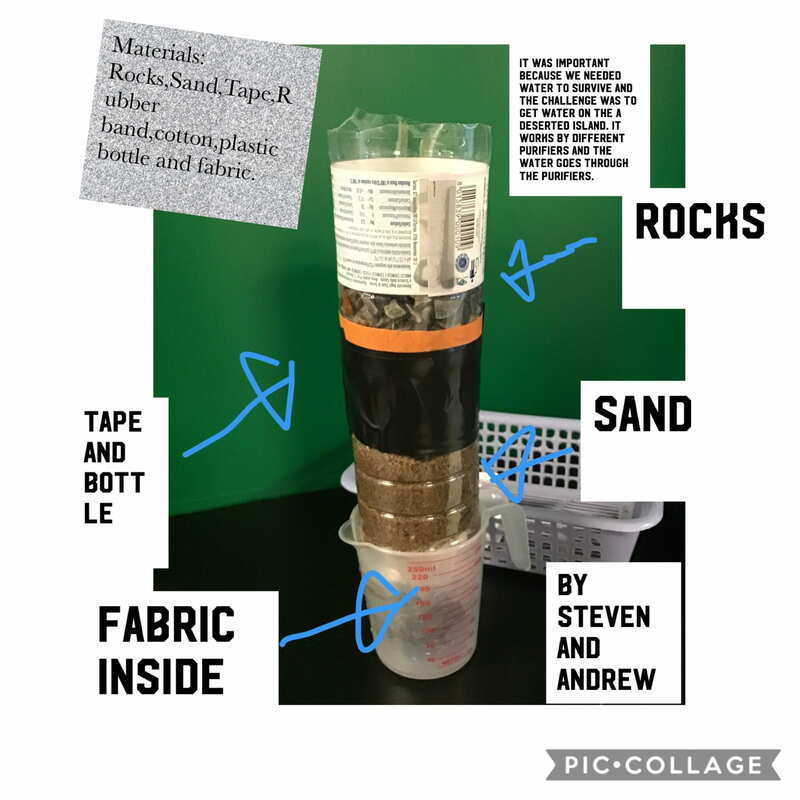 Steven and I used rocks, sand, tape, rubber band, cotton, plastic bottle, and fabric to make a water purifier. The rocks first purified the big particles, the sand purified smaller particles, and fabric purified even smaller particles and made a purified water. August 23, 2018 / juhyeok.jeon / Comments Off on Cake Cake Cake!!! How do I feel about Middle School at this moment? 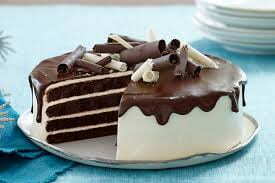 It’s easy as a piece of cake!!!! !